Minarets are distinctive Islamic architectural features of majority of mosques. Though not mandatory, these became a traditional part of mosques sometime in 8th century A.D. to provide a high point for call to prayers (adhan) and also a visual sign to the location of the mosque. 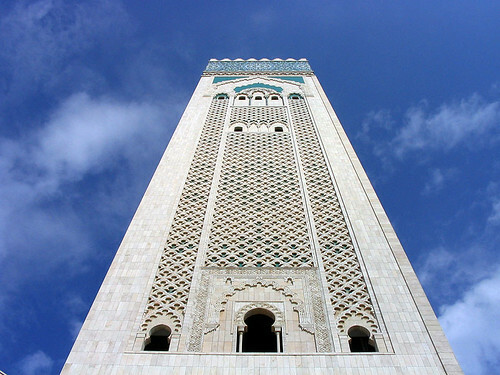 World's tallest minaret with a height of 210 metres (689 feet) is part of Hassan II Mosque in Casablanca, Morocco. The mosque itself is the reportedly third largest mosque in the world (in terms of the built up area), after the Masjid al-Haram (Grand Mosque) of Makkah and the Al-Masjid al-Nabawi in Medina. 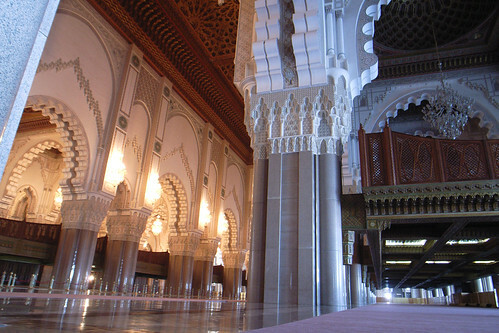 The mosque was built on the orders of late King Hassan II. 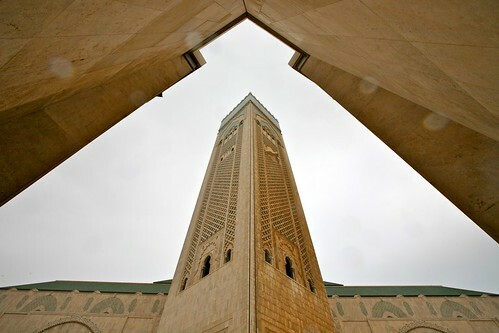 Though designed by the French architect Michel Pinseau and constructed by another French company Bouygues, the mosque has a strong influence of Moorish architecture. Work on the mosque was started on 12 July 1986 and it was inaugurated on 30 August 1993. The main hall of the mosque is 200m x 100m x 65m comprising the prayer room on the ground floor, and the ablution room and a public hammam in the basement. The exterior façades of the mosque and the minaret are decorated with titanium, bronze, and granite. The minaret has been provided with laser light at the top which points towards the holy Kaaba (the direction towards which all Muslim pray). The light is visible for about 40 kilometres even in the day time. I have been trying to search for the second highest minaret and so far my search reveals that the 80 metres high minaret at Faisal Mosque, in Islamabad is the second highest. May be my readers can provide some fresh information on the subject. Although Hassan mosque was designed by a French architect, it is Moroccan through and through. 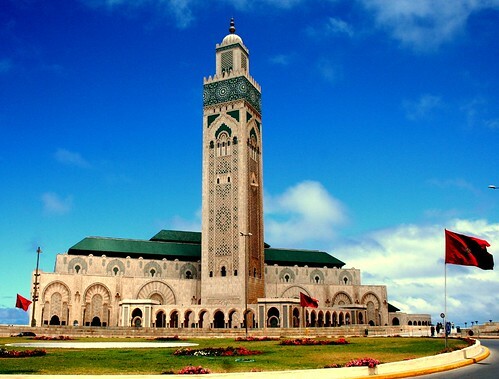 Except for the white granite columns and the glass chandeliers, the materials used to construct the mosque were taken from the Morocco region.